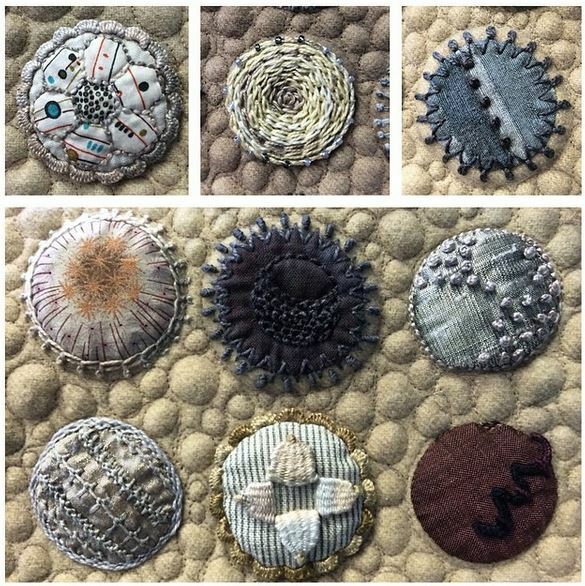 One of the things I always find so interesting at a quilt show is the response that people have to what they see. Spend thirty minutes in front of a single quilt and you’ll see people glance at the quilt, smile briefly and continue walking while others will stand there for a very long time examining every possible detail with a look of awe. Much of the difference is surely about personal taste, and perhaps some of it is about preference or bias – hand-quilted vs. machine-quilted. It always makes me think of the nature of inspiration. More specifically, to the meaning of “inspire” as being “to animate” – to bring life to, to make alive. Just as it is with any kind of art, something in the work shows a vision… of color, of possibility, of an emotion. Stitches to Savor. Sue Spargo. When it comes to Sue Spargo… I might also need to add “stalker”. Super-fan. Slavish devotee. 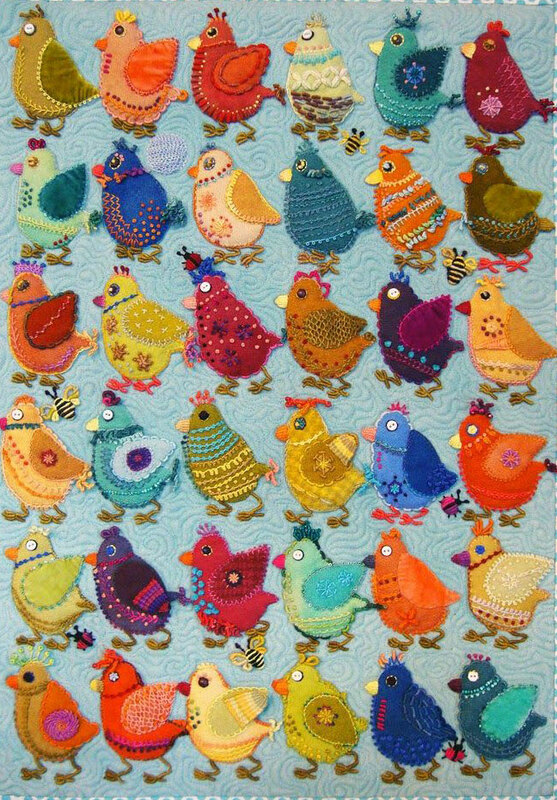 I don’t know if it was simply an evolution of style or access to more variety with materials but Sue’s work became so much more vibrantly colorful, mixing a wide variety of fabrics, threads, stitches and motifs. 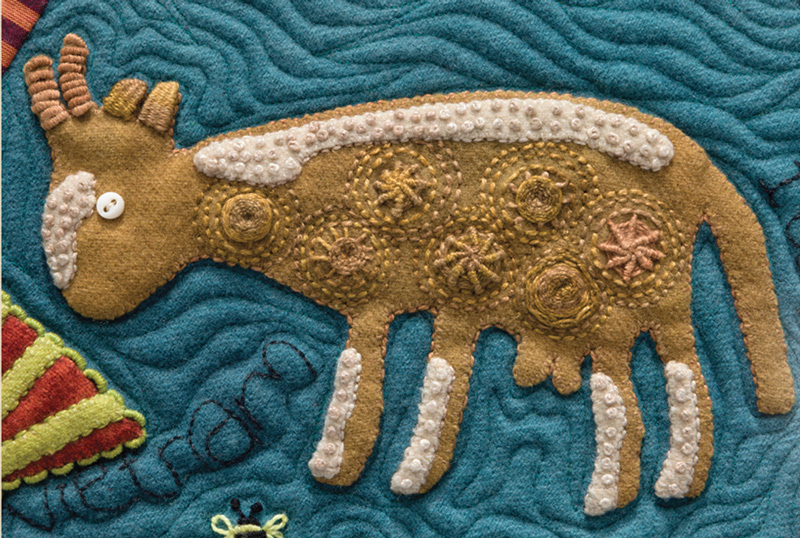 It seemed like every time I’d see her work at Quilt Market, on blogs – they were the new thing back then, or in magazines, she’d invented some new stitch or thread. And where did she find that rick-rack? So when I learned earlier this year that Martingale would be publishing a purely-eye-candy book of Sue Spargo’s work, I made sure that “folks I know” were aware of my extreme interest in obtaining a copy of the book. This is it. Stitches to Savor. 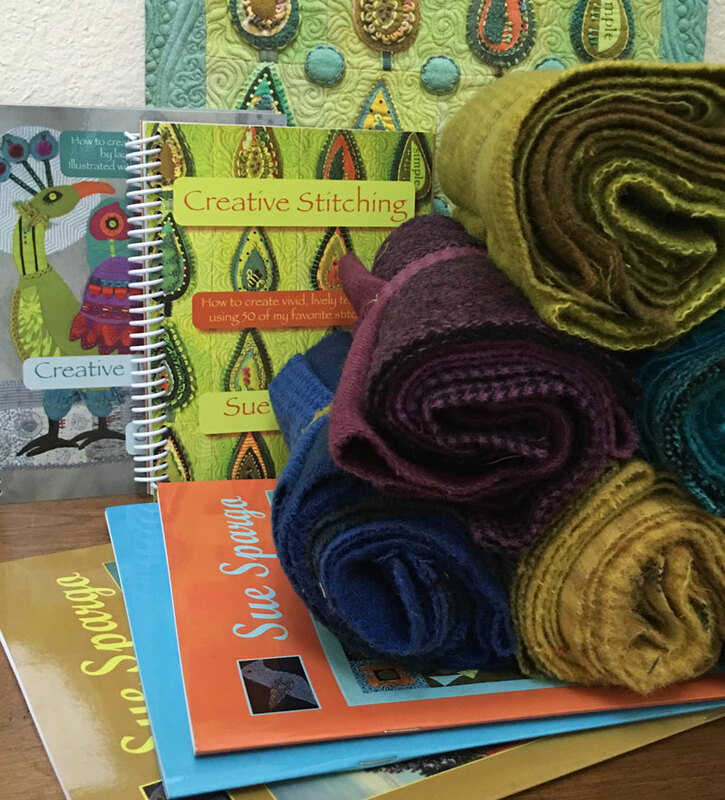 This isn’t a project book or a stitch book – there aren’t any diagrams. What you’ll find are beautiful pictures of stunning stitches – eye-candy for your stitch-y soul. Inspirational – aspirational. Other pieces are studies in color and texture. Some might just be showing off… can you believe those knots? Me? I’d just have a knotted mess of thread to untangle. Every time I get a new book, a sweet friend asks “do I need this book?” While I like to think that everyone is going to want the same books I do, I know that isn’t really true. 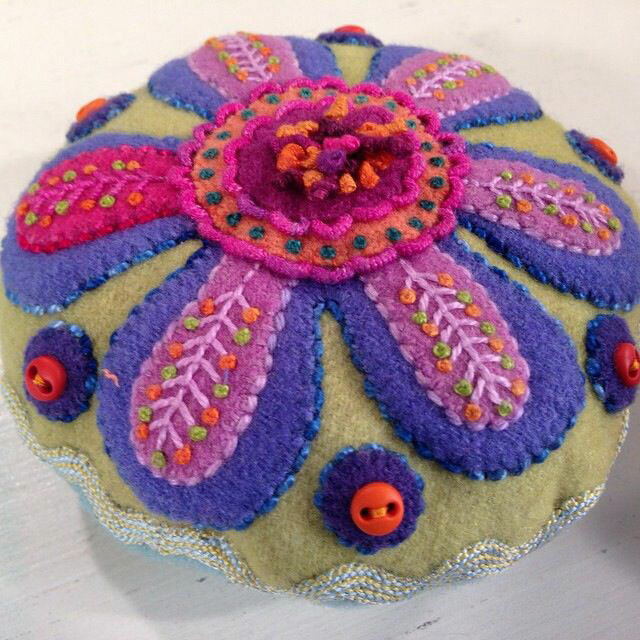 It’s for people like us – people who like playing with needle and thread, who love color, who love variety and texture and whimsy. People who just like looking at pretty pictures of truly spectacular work. I know that doesn’t describe just me. Next Next post: Pat Sloan is On the Air! I’m laughing…at myself. 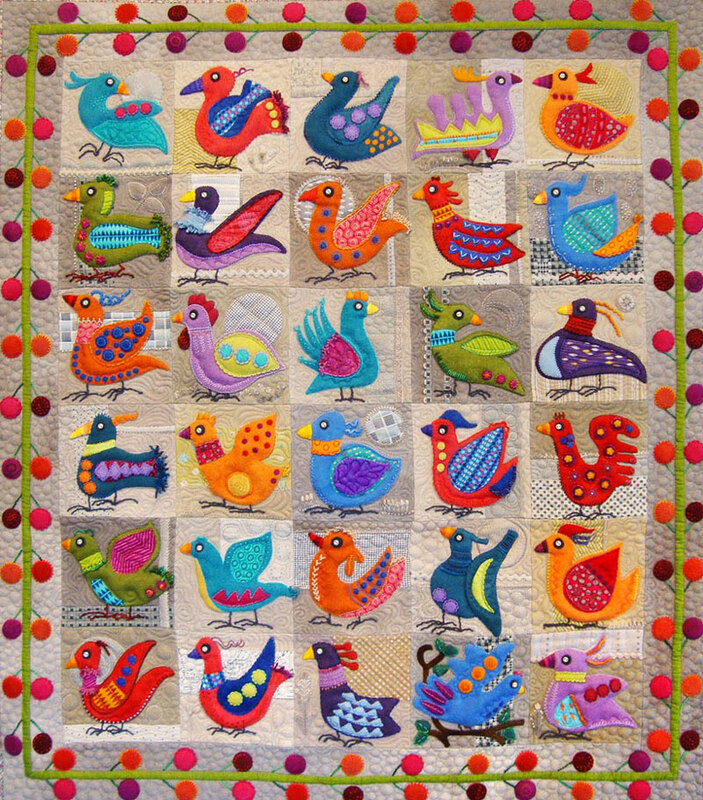 I always thought of Sue Spargo as an Australian quilter…because of her use of colour, stitching, style, whimsical notes in her work. 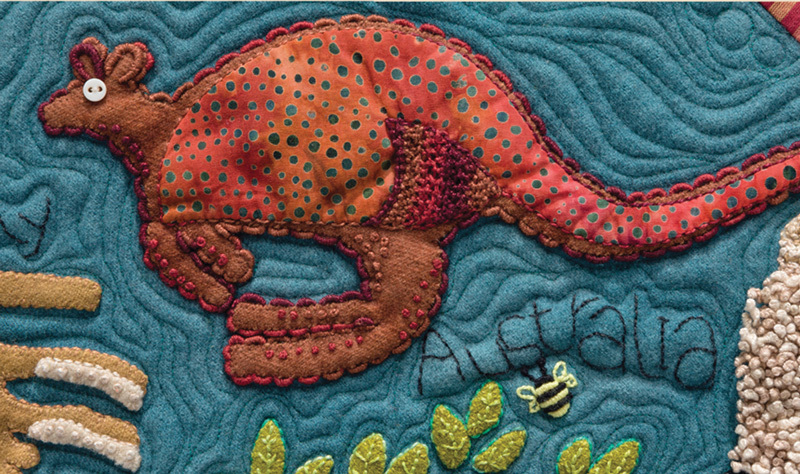 I still think she should be an Australian quilter…because she fits in to the stunning Australian style so naturally. After I stopped giggling, I added Stitches to Savor to my letter to Santa. It’s a short list – the book, and some Dutch licorice to enjoy while perusing (drooling over) the book. 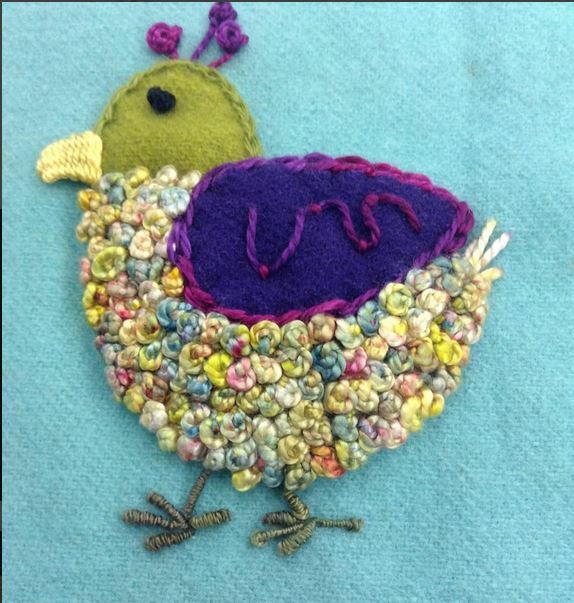 Sue Spargo is definitely awesome…. I had a giggle at the first comment about her being an Australian quilter. 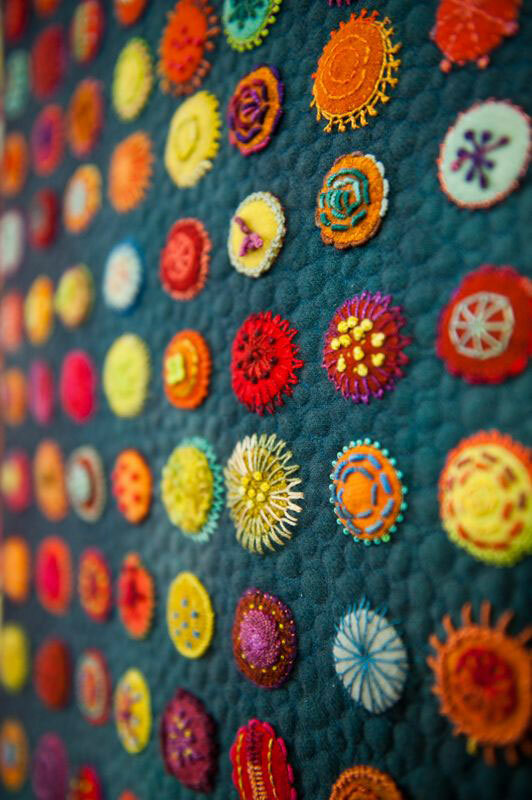 There is an Australian quilter who does beautiful wool work – Wendy Williams… Look her up.. You won’t be disappointed. Thank you! I looked her up and her work is gorgeous! Carrie, Sue Spargo comes every Mar/Apr or Apr/May timeframe to a retreat center in the DFW area. http://www.ourhouseinmilford.com I know she also held a retreat right after market at the same place. Come join us! 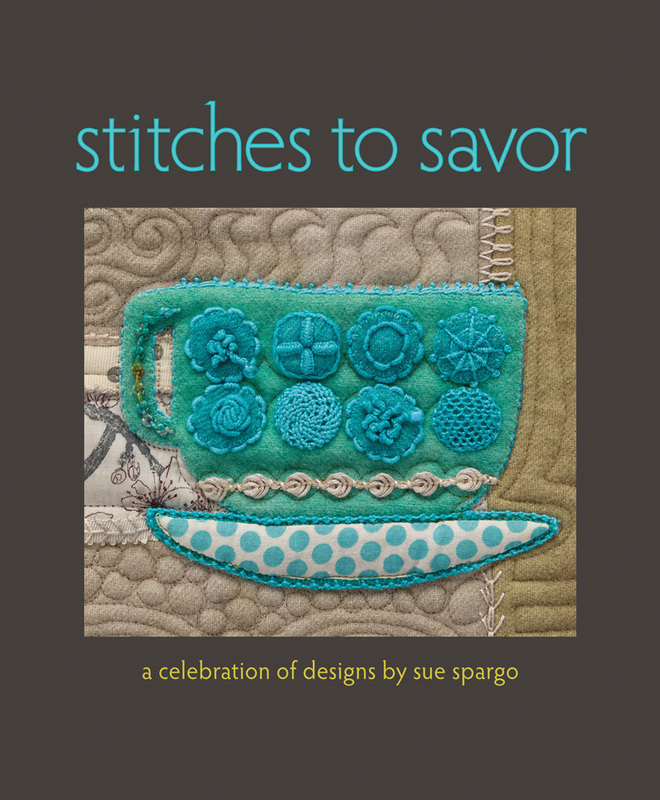 I love Sue Spargo…….so much that I purchased a Craftsy class from her last February for my birthday gift to myself but have not had time to start it. Now, I think a retreat with her would be in order! I have the calendar! It’s definitely eye candy! My Stitches to Savour was preordered through Amazon. I can’t wait to receive it.